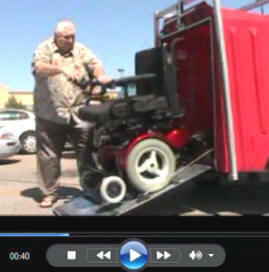 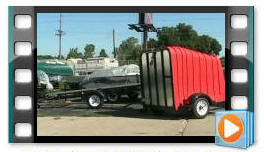 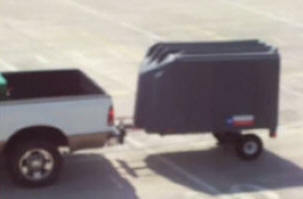 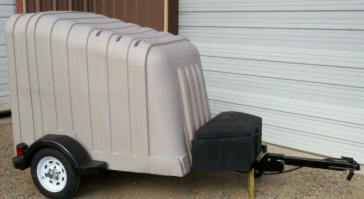 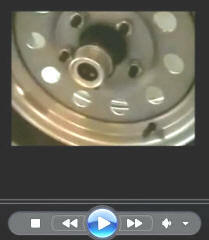 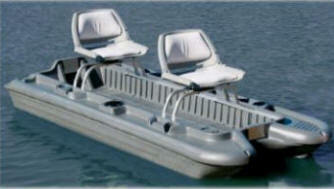 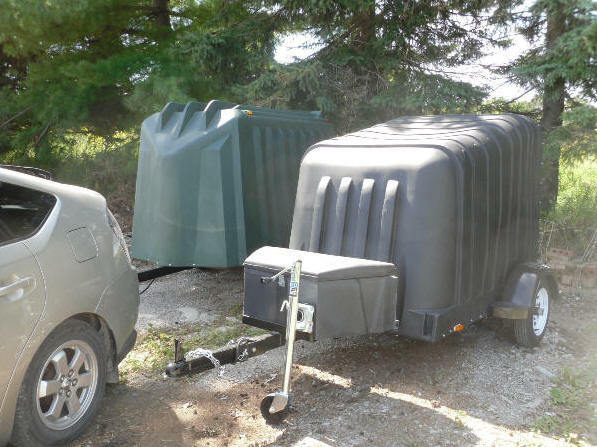 JIMMY ENCLOSED VERSA TRAILERS FOR BASS HUNTER PONTOONS, MOTORCYCLES, ATV, BIKES ETC. 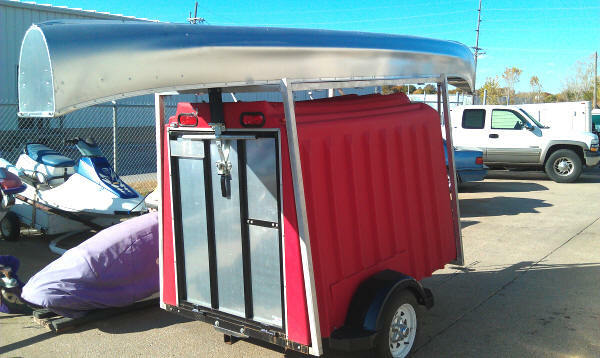 We have been manufacturing the Yuppie Wagon now since 2003, and have enjoyed seeing it's popularity increase. 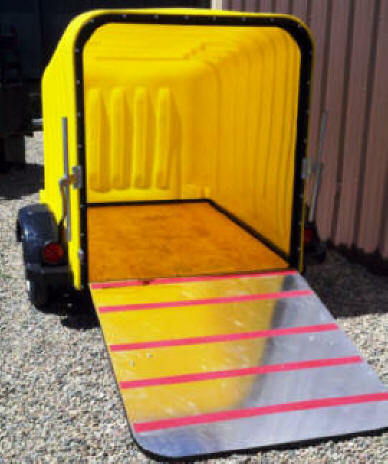 Now, we would like to introduce an addition to the Yuppie Wagon concept: THE JIM YUPPIE TRAILER 4 FT WIDE WITH 7 FT. 2 INCH CENTER LINE AND A 6' SIDE WALL LENGTH AND IS FITTED WITH A REAR RAMP DOOR OR SWING OPEN DOOR. 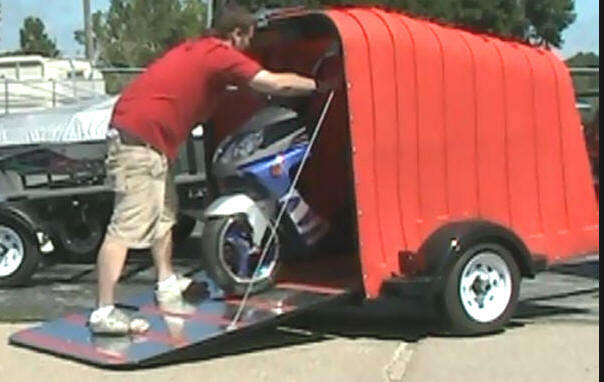 , 3 FT. 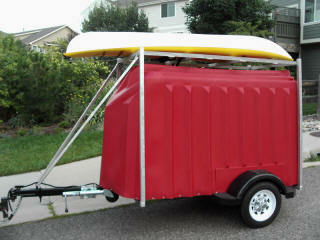 WIDE 41 INCHES TALL AND THE EZ LUBE SYSTEM IS STANDARD EQUIPMENT. 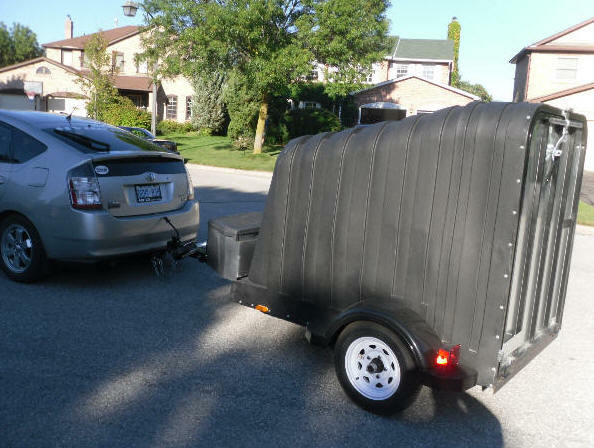 HERE IS OF A CUSTOMER PICKING UP A 16 FT. SQUARE STERN OSAGIAN CANOE WITH A YUPPIE WAGON TRAILER WITH A CANOE RACK. 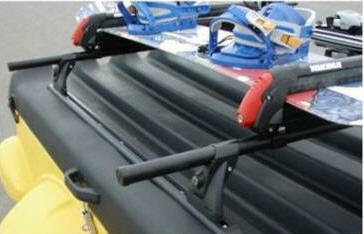 IT PROVIDES A SAFE STABLE MOUNT TO BE ATTACHED TO AND AS MOUNTED ONLY 3 FT. EXTENDS OUT THE BACK. 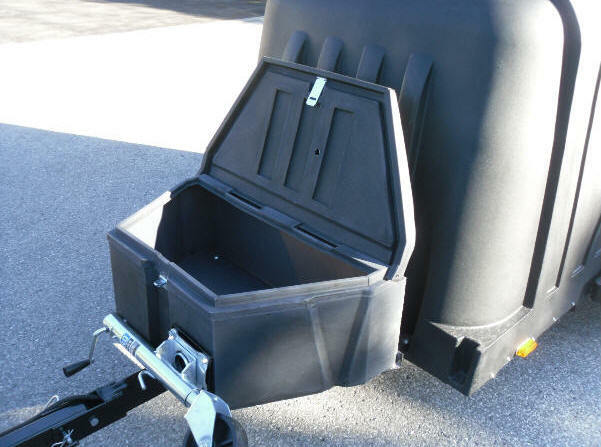 IT IS LEGAL TO CARRY DAY OR NIGHT IN MOST STATES. 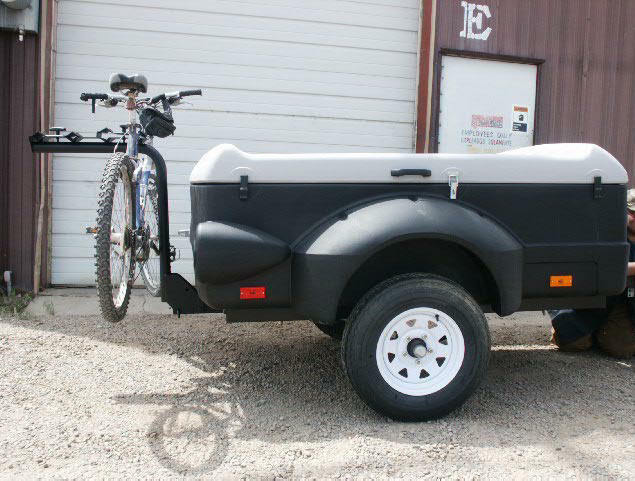 Yuppie Wagon™ is your perfect traveling companion: it works hard and never talks back or knows a better road to take than the one you're on. 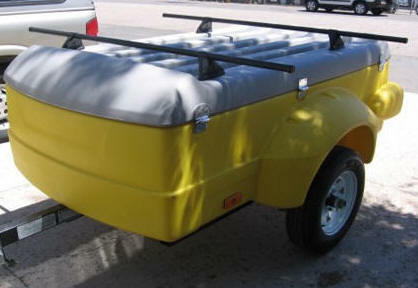 Whether your running a race, running the road or running away for the weekend, the Yuppie Wagon™ is always behind you. 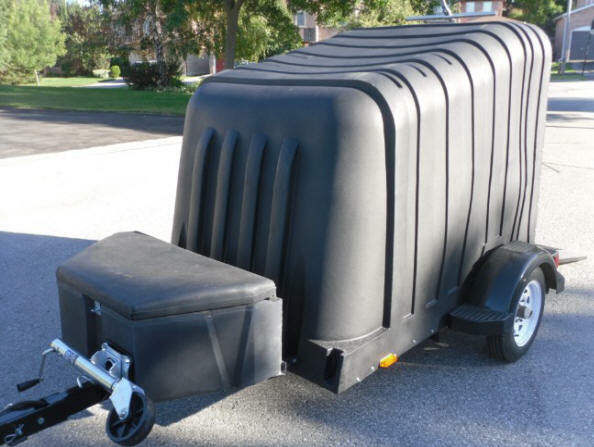 So easy to set up, durable, lightweight and aerodynamic, you may forget your being followed. 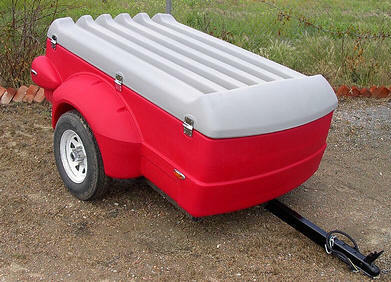 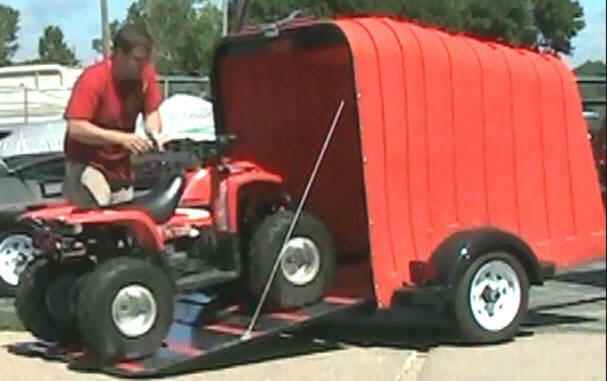 YUPPIE WAGON TRAILERS ARE AVAILABLE WITH GALVANIZED FRAMES. 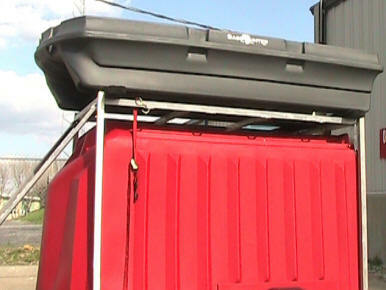 EXTENDED TONGUES, ETC. 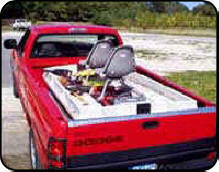 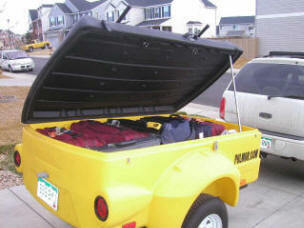 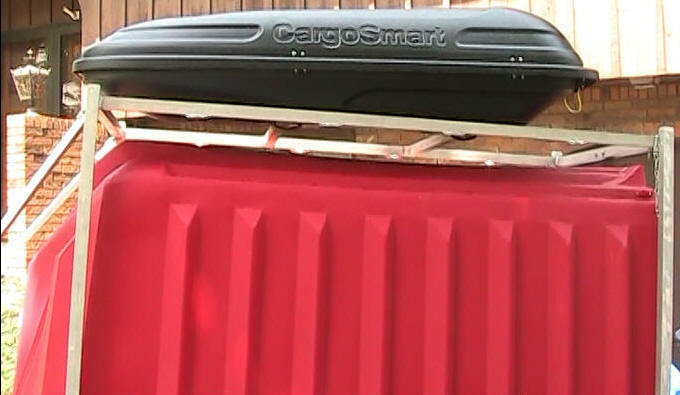 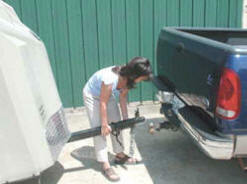 STORAGE BOX IS LARGE ENOUGH TO EVEN CARRY 12 INCH SPARE, TIRE JACK, AND TOOLS. 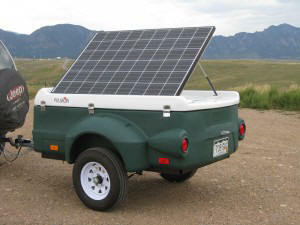 CAMPERS LIKE IT FOR CARRYING A BATTERY AND A INVERTER FOR SUPPLYING 110 VOLTS AC AT THE CAMPGROUND. 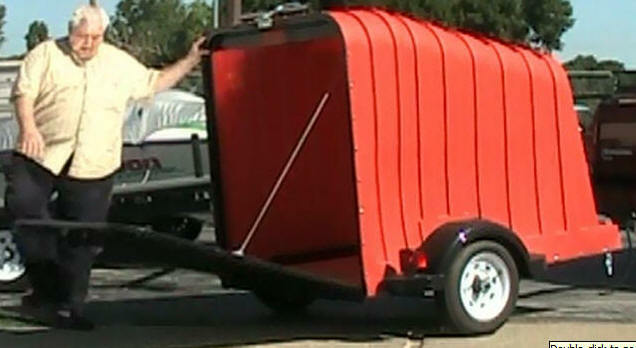 RONALD McDonald OUT OF COSTUME STANDS WITH HIS DAUGHTER AS HE TELLS HER THAT HE ROAD IN SOME OF THESE ROTO MOLDED CAR KARTS 30 YEARS AGO, JUST LIKE SHE HAS OVER THE YEARS AND THAT ROTO MOLDED PRODUCTS ARE TOUGH AND CAN TAKE A LOT OF ABUSE AND STILL GIVE MANY YEARS OF SERVICE. 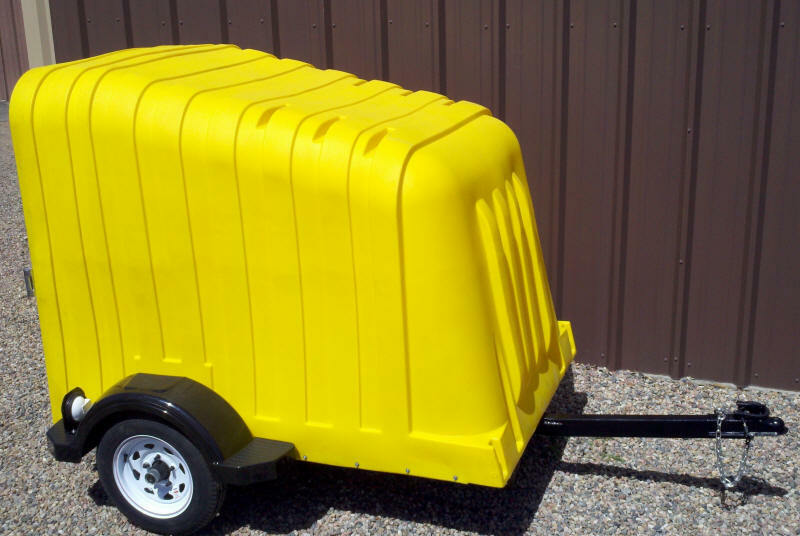 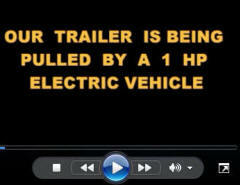 RONALD HAS A YELLOW TRAILER.